A bifold door can really add value to your home as well as being a lovely feature which you can enjoy. It can really open up the space and light at the back of your house, and almost turn a rear wall into a conservatory. Enjoy the luxury of more light and the feeling of bringing the garden into the home. If you are looking for a trustworthy company to provide and install a bifold door then Camberley Glass and Windows is one of the best choices you could make. 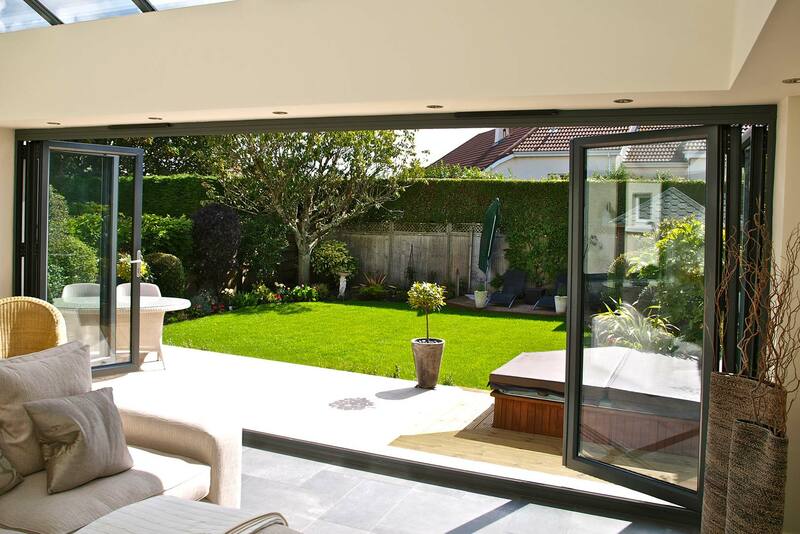 We are a local company which has been supplying and fitting bifold doors in Lightwater for many years, and the service we provide is second to none. We have a vast experience in the industry and can help with your search from advice on choice of door to final fitting. Our team of professionals are all fully qualified, FENSA registered and eager to find the right door for you. Camberley Glass and Windows is on the Buckinghamshire and Surrey Trading Standards Approved list of traders, and you can see our high ratings on Checkatrade. Also have a look at the favourable testimonials on our website and you will see why much of our business comes from personal recommendation. Camberley Glass and Windows is a company you should check out first in your search for a bifold door, and you can come and visit our showroom at our offices in Camberley, Surrey where you can have a friendly, no pressure, chat and get some good advice, ideas and brochures.